In the foreground is the home of Josiah Wedgwood I which was built in about 1770 The original house was a typical symmetrical Georgian house of three stories and the two wings were added in 1780. Because of the pollution and noise from the Shelton Works Josiah Wedgwood II moved to Maer Hall and the Etruria Hall was taken over by the Shelton Works and was used for many years as the offices. Behind the hall are the bottle kilns and pottery works of Wedgwood - they moved here from Burslem in 1769 - because of pollution and subsidence the company decided to move away from Etruria. A three hundred and eighty two acre estate located near the village of Barlaston, Staffordshire. The land was purchased by the Wedgwood family in 1936 for the site of the new factory. 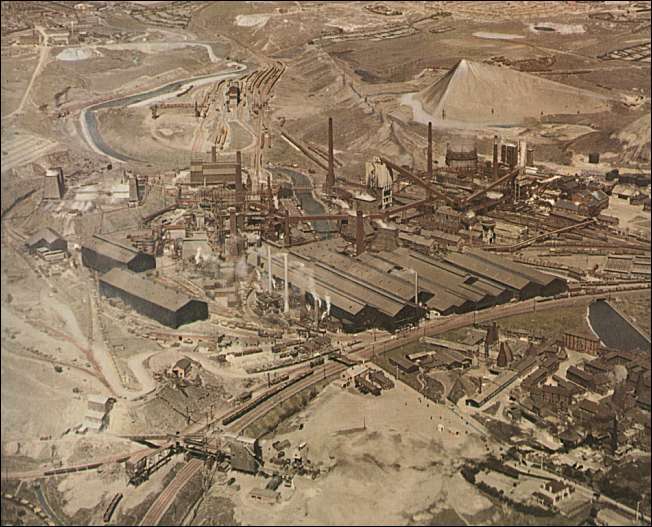 The foundation stone was laid on 10 September 1938, earthenware production was transferred from the old Etruria site in 1940, with production officially ending at Etruria on 13 June 1950. 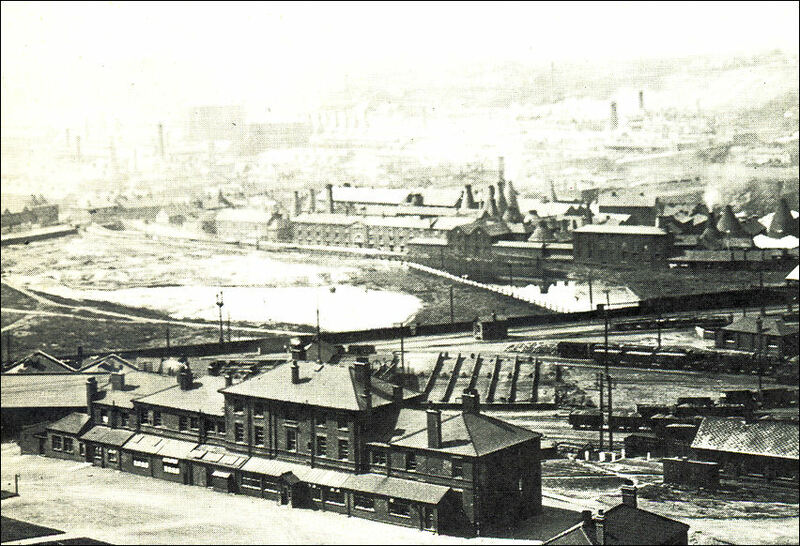 Wedgwood's Etruria Works can be seen at the bottom right of the picture. 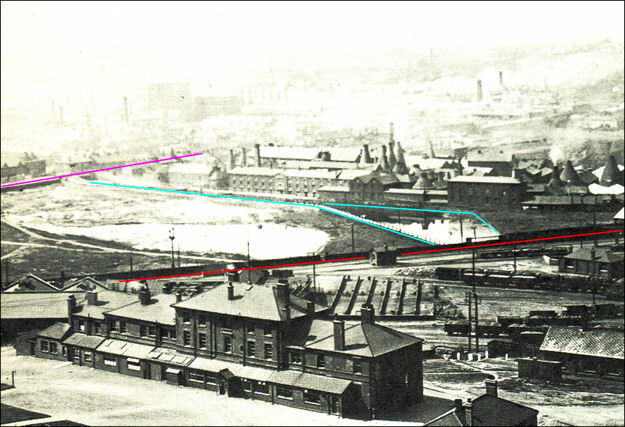 The railway and canal can clearly be seen traversing the works. The desolation of the area demonstrates the reason why the Wedgwood Company decided to move to Barlaston.